Five cities will celebrate this human-powered flying competition on September 21st, including Long Beach, CA. Here are some images from previous events. You can scroll down to enjoy their "Top 10 Crashes" video, followed by the press release regarding the event. 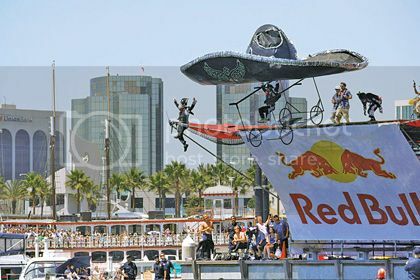 Red Bull Flugtag now takes off and lands on September 21 in what will be the first Red Bull Flugtag National competition with human-powered flying machines and homemade fun around the world. With events taking place simultaneously in Washington, D.C., Los Angeles, Miami, Chicago and Dallas/Fort Worth, never before have several cities in the same country been able to witness authentic aviation history on the same day. 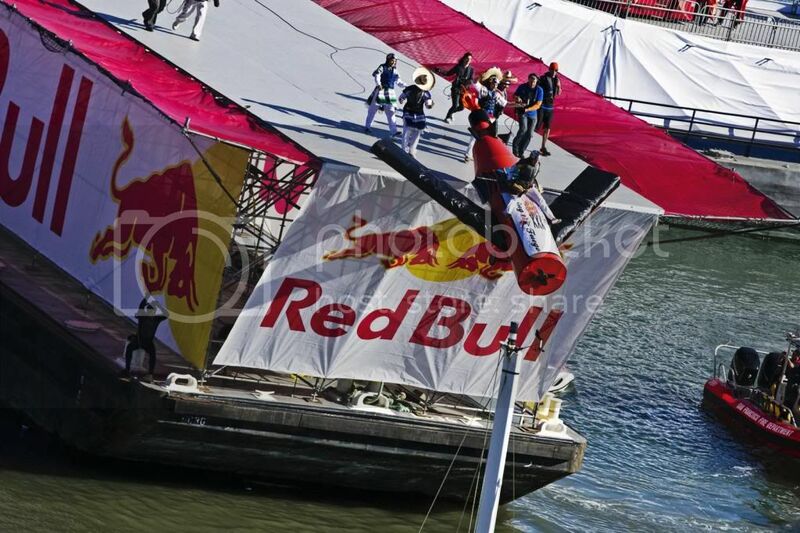 Flying enthusiasts can register at www.redbullflugtagusa.com until June 1. In late June, 30 teams, made up of five people each, will be selected to test their ingenuity and courage. Each team selected will make the flying leap from a platform 28 feet above the water in each of the events that will take place this September while attempting to break the amazing American record of 207 feet. Past participants have been inspired by their favorite food, popular culture, technology and mythology, and have even tried to get support from their cities with university-based flying machines, sports equipment and other items for which the city is famous - all in order to test the limits of gravity and to entertain the public. Red Bull Flugtag, which means "flying day" in German, has been celebrated worldwide for 12 years, entertaining over 500,000 people annually. Red Bull Flugtag challenges participants to design, build and fly their human-powered flying machines. This is not a competition of ordinary flight, the qualified teams are not only based on the distance flown, but also for their creativity and showmanship. 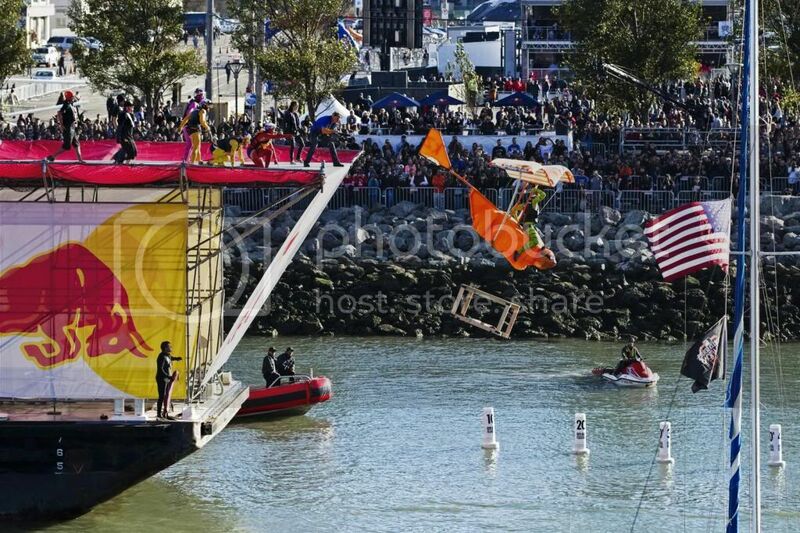 The application to participate in the National Red Bull Flugtag is free, and the drivers must be over 18 years old. 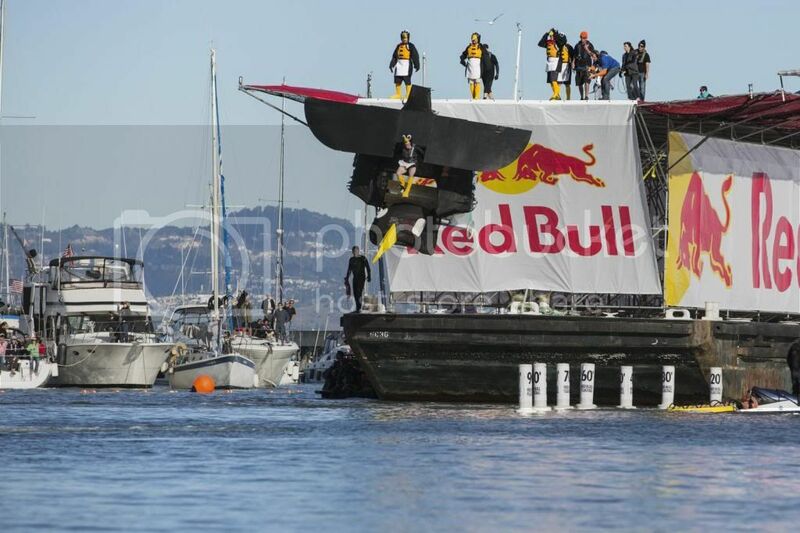 For more information, including applications, rules, photos and videos of previous events visit www.redbullflugtagusa.com.